The wonderful video above from the folks at Pace Turf highlights one of the ways to conduct a “knockout trial,” also occasionally referred to as a “plywood trial.” In this kind of trial, random plots on greens or fairways are covered with tarp or plywood before a certain treatment product is applied. 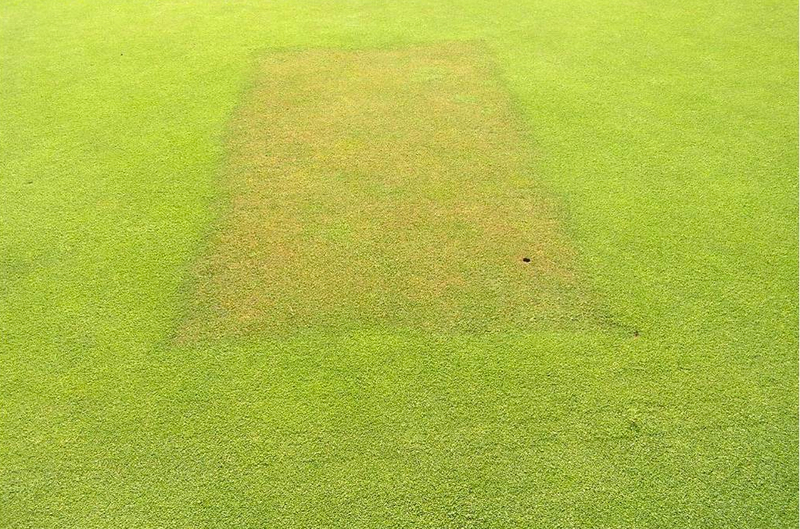 Covering these random plots ensures that the product being tested does not reach the turf beneath. Because all other conditions on the test area remain the same, a knockout trial allows researchers and superintendents to isolate the effects of only the product being tested. Between applications, the plywood or tarp is removed so that all plots experience the same environmental stresses. While the Revolution-treated turf is healthy, green, and consistent, the area that did not receive treatment is brown, patchy, and bare. The positive effects of Revolution are readily apparent thanks to a piece of plywood and a little superintendent ingenuity. Do you conduct knockout tests on your course? Let us know in a comment or on Facebook.